Neill has been training at 1 TO 1 Fitness for more than 20 years. A former Chief Operating Officer and Chief Financial Offer, Neill is now a consultant. He credits his workouts at 1 TO 1 with helping him reduce work stress and improve strength and cardiovascular capabilities. “There are many things I love about 1 TO 1 Fitness. 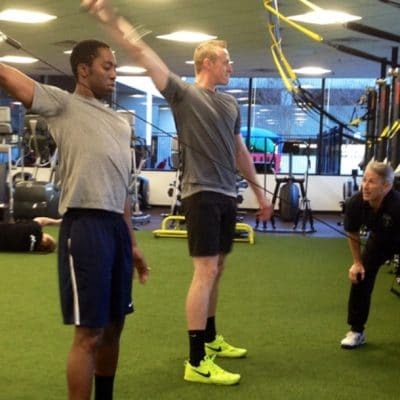 The trainers have a genuine interest in you personally and in the workouts they provide. 1 TO 1 changes with the times, with their team always developing new routines and physical fitness innovations. My program and workouts have changed as I’ve aged. Today’s workout is very different than it was 20 years ago. It is still challenging and I can see the benefits of the changes. And I would never be able to do on my own what my trainers demand of me in my studio workouts! From my time at 1 TO 1 Fitness, I’ve been able to eliminate work stress, keep my weight stable (hard to go do in your 50’s and 60’s!) and have been able to retain strength levels in many exercises and improve my cardiovascular capabilities with the metabolic workouts. I’ve also seen improvements in balance that I never really focused on in the past. “I have been a 1 TO 1 client for a little over two years. My two favorite things about 1 TO 1 training is the personalization and the variety. 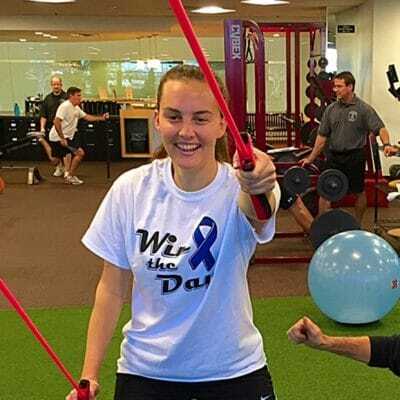 As a soccer player, the goals I have had for my training are pretty specific, and since day one the trainers at 1 TO 1 helped work with me to create a program that was based on exactly what I needed to focus on to prepare me for peak performance. I have never felt like anything I have done at 1 TO 1 wasn’t serving a purpose in getting me ready for the field, whether it was agility, explosiveness training, or strength. On top of that, the trainers I get to work with, and the variety of methods helps keep me constantly on my toes and gives me exposure to multiple styles of improvement. I also just like getting to know more people, and hanging out at 1 TO 1 has always been fun. 1 TO 1 helped me enormously on my transition from high school and club level soccer to preparation for college. Since working with 1 TO 1 I have become stronger from head to toe, more agile, and generally more ready for the physicality and demands of the college level. Since the trainers have always tended to push me to extreme limits (which I have always asked for), 1 TO 1 helped me grow my tolerance and learn how to push myself. I have never faced a workout at college that has been harder than my hardest 1 TO 1 sessions. The Norton kids, each very talented and hard-working multi-sport athletes, have trained at 1 TO 1 since childhood in between seasons and whenever they had the opportunity. Older brother Mikey played college baseball for Georgetown University and is now working in New York City on Wall Street and sister Katie played sports throughout high school and now attends Loyola University in Baltimore. 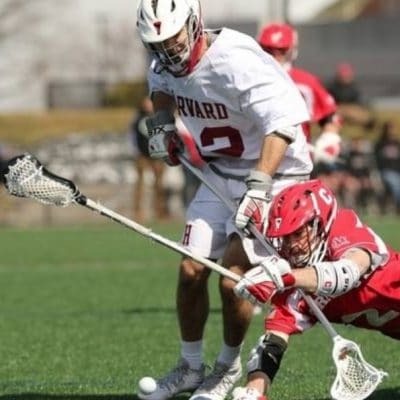 Ryan, this month’s 1 TO 1 Champion, is now playing Lacrosse at Harvard. Stan, a 1 TO 1 client for over 10 years, not only is a 1 TO 1 Champion, but a champion in life as well. Stan is executive vice president and national director of financial communications for Qorvis MSLGROUP where he has designed and implemented award-winning communications efforts for financial companies, Wall Street firms, trade associations, nonprofit organizations, and federal agencies. He is one of the world’s leading experts on the U.S. budget and congressional budget process, speaks to hundreds of organizations across the United States each year, and appears frequently on radio and television news programs. Stan also is the author of “The Guide to the Federal Budget and is the founder of “Capital Gains and Games,” which is now published by Forbes. Stan typically gets to the gym up to 6 times a week to keep up with his training. This is difficult enough with Stan’s work schedule, but it is more impressive because for the past three years he has also been battling cancer. 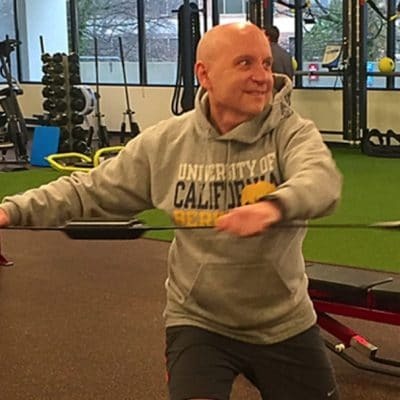 Stan enjoys 1 TO 1’s team approach because, he says, it provides “consistency and variety at the same time.” 1 TO 1 has helped him train both for specific events such as a Tough Mudder and a biathlon, and to deal with the various treatments for his disease. Stan has lost 30 pounds and significantly improved his overall fitness since he started training at 1 TO 1. He’s now 65 and says that he’s in better shape than he was in his 30s. “It’s evolved over the years, pushing me harder and harder, as well as addressing any physical issues that pop up. This keeps me coming back. At first I had some back issues so focusing on my core was critical. The trainers have helped me reach my goals each year from climbing Machu Picchu to losing and maintaining my weight to being in the best shape I can be when I hit a decade birthday. It’s also been key to reducing stress in the midst of a crazy DC schedule. The trainers are fantastic and my gym lady buddies are the best. We’ve become lifelong friends and never would have met if we hadn’t connected in the locker room. There’s a valued sense of community with both the trainers and clients”. Donna we are very proud of you for getting yourself into such great shape and we also love the gym camaraderie that great clients like you help create. Thank you! Carlyn is a college student and soccer player at the University of Tennessee. Carlyn has been a 1 TO 1 client since her sophomore year in high school, and is one of the most inspirational athletes to watch train. Her work ethic is unparalleled and her physical strength, power, and endurance are awesome. Caryln played Club Soccer for the Braddock Road Youth Club and was a member of the BRYC 95G Elite team that won the National Championship in 2012. 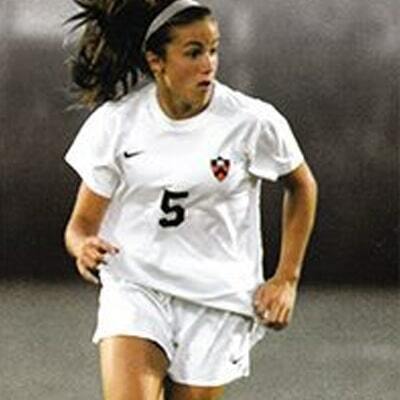 At age 18 Carlyn also became a member of the 2014 U.S. Women’s U-20 World Cup team. Carlyn continues to train at 1 TO 1 whenever she is on break from school and not away at tournaments, and she continues to amaze us and be a pleasure to train. Jean is a Communications Consultant based in Washington, DC and has been a 1 TO 1 client since 2010. In addition to training twice a week at 1 TO 1, Jean walks three miles daily with her dog. 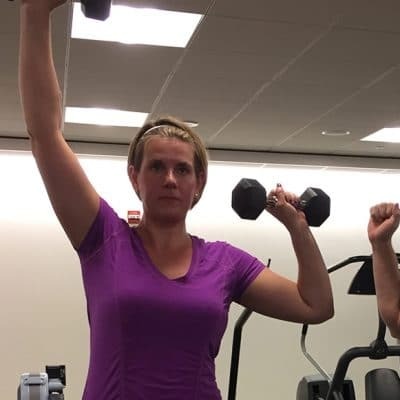 Here’s what Jean says about her 1 TO 1 experience: “Thanks to 1 TO 1, I’m in the best shape of my life in my 40s! While my peers groan about getting older, I actually feel younger because I’m so much stronger and more functional than I was in my 20s or 30s. 1 TO 1 has solved some chronic problems for me, too — like the hip and neck pain that can plague so many of us ‘desk jockeys.’ Best of all, being in great shape makes me confident and fearless. Knowing what I’m capable of, physically, helps me feel powerful in all other parts of my life. The best days of my week are 1 TO 1 workout days.”Thanks Jean – your 1 TO 1 workout days are great days for us too! Allison was a multi-sport athlete at James Madison High School who went on to play four years of lacrosse at the University of Delaware. 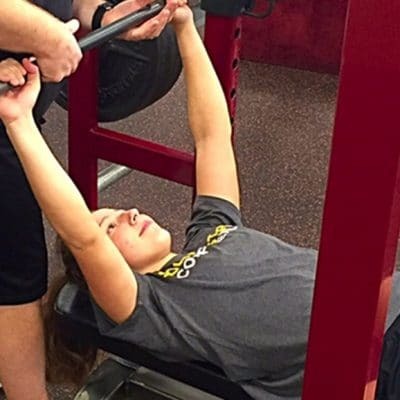 Allison trained at 1 TO 1 throughout high school and college. The James Madison High School state champion girl’s lacrosse team, under her leadership as a team captain, also trained at 1 TO 1’s Youth Training facility (MAX Youth Performance & Fitness) located in Great Falls, Virginia. Allison now works with a nonprofit organization in Washington, DC in the field of wildlife conservation. John and Brandon played high school basketball together at James Madison High School. John then went on to play for four years at Elon University and Brandon played for four years at the University of Mary Washington. John is now an entrepreneur in Washington, DC and Brandon is a partner in an IT consulting firm. Lieutenant General Brent Scowcroft (USAF Retired) served as National Security Advisor to both President Gerald Ford and President George H.W. Bush, and is now the President of The Scowcroft Group, a premier international business advisory firm based in Washington, DC. 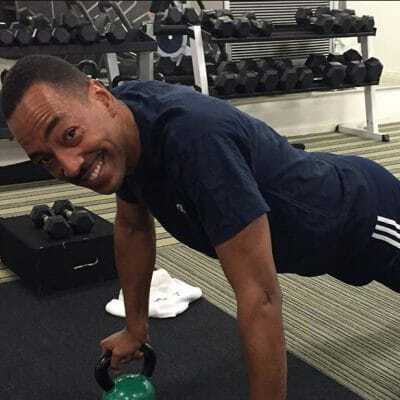 Having graduated from West Point and having served in the military for 29 years, physical fitness has certainly been an integral part of Brent’s life. 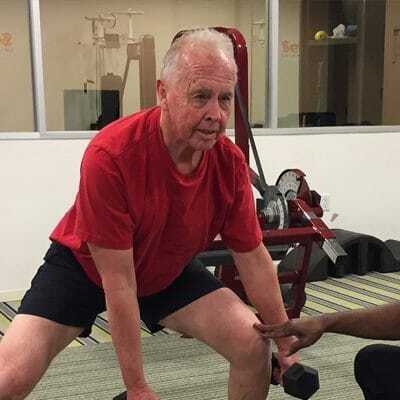 Brent has been a 1 TO 1 client for nearly 20 years and, at 90 years young and still going strong, Brent is the ultimate example of how exercise and a healthy lifestyle contributes to a sharp mind, strong body, and immortal soul. “I like the fact that it is personal and geared to my abilities as well as addressing any physical concerns I may have. On any given day, I may be coming off a tiring trip or have a knee that is acting up and my trainer not only adjusts my exercises to address my overall wellbeing but also is well versed in recommending particular exercises that can improve or remedy sore muscles or joints. Brent, thank you for attributing your physical vitality to us, but the credit belongs exclusively to you! We thank you for your service to our country, for allowing us to be part of your life and your commitment to health and fitness, and for being an incredible inspiration to us all! Bob has been a 1 TO 1 Champion for over 25 years. We have had the pleasure of training Bob at both of our Washington, DC facilities and now at our Tysons Corner location as his office is now in Tysons. 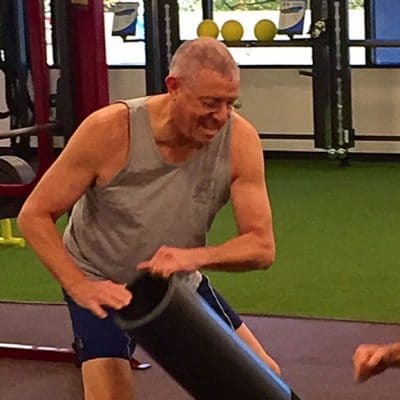 Bob is a great example of how consistent exercise keeps you young at heart and in body. We train Bob at a level of intensity that most people half his age could not handle, yet Bob keeps coming back for more week after week, month after month, and year after year. Bob says he “likes the variety that different trainers bring, the way trainers push you to get a maximum workout, and the programs that are designed to counteract the effect of being an old guy sitting at a desk all day. I’m probably fitter than I ever was, relative to my age. 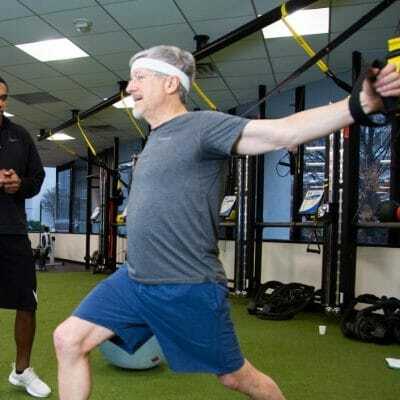 And I know I always feel like I am standing up straighter and taller after a session.” Keep up the great work Bob, we look forward to profiling you again at your 50 year anniversary with 1 TO 1 when you are outpacing even more generations. 1 TO 1 Champions come in all shapes and sizes. Camron has been training at 1 TO 1 since he was nine years old, and we could not be more proud of him. Camron was born with a condition that affected his strength and balance, and when he first started training could only walk with the use of a walker. Camron is now a high school junior and not only walks independently, but has completed a 5K and can do over 20 pushups and 8 pullups! He has also participated on crew team, rides horses, can bear-crawl across the gym and back, and we have no doubt that he will accomplish anything else that he sets his mind to! While Camron’s progress has been nothing short of amazing, he deserves Champion status for even more impressive reasons. We have no client who is more disciplined than Camron – he never wants to miss a workout, always gives 100%, and, most impressively, always comes to the gym with an incredibly positive attitude and a fun-loving smile. What more could his personal trainers ever ask for? Richard is Executive Director of the DowntownDC BID (Business Improvement District) and a 1 TO 1 Champion who trains at our Metro Center location (555 13th Street, NW). 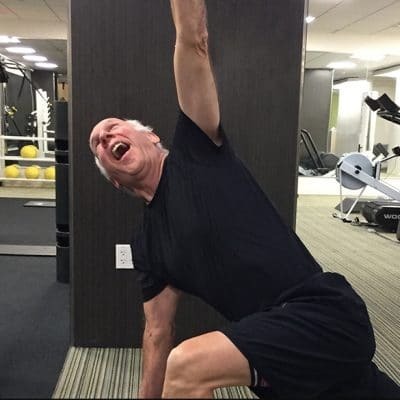 Keep up the great work Rich, and keep your “youthful spirit.” It makes you a pleasure for us to train. Michelle has been a 1 TO 1 client for almost 12 years. Like many 1 TO 1 Champions, Michelle has found a way to succeed in the corporate world, raise children, and keep herself in great shape. Michelle is an economist with the global consulting firm Charles River Associates, with offices across the US and in Europe, and specializes in competition issues. 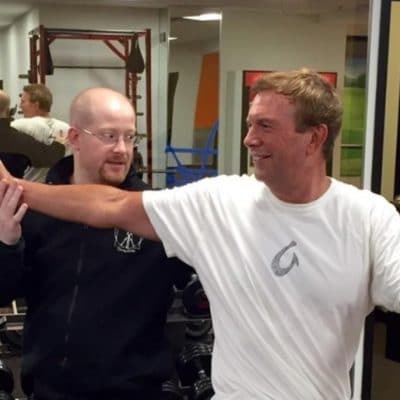 Rick has been a 1 TO 1 Champion for over seven years and trains at our Metro Center facility. Rick is a commercial real estate executive with the global commercial real estate firm Savills-Studley, Inc., and Rick’s dedication to health and fitness started long before he became a 1 TO 1 client. Rick has been an athlete his entire life. His passion was downhill skiing until he moved to the east coast and took up competitive cycling. Rick competed as an elite amateur for 24 years, amassing 15 regional championships, numerous victories in open racing, trips to national and international competitions, and records in 10 and 25 mile races (one of which still stands). Years of highly competitive racing took a toll on Rick’s body. About ten years ago he suffered a fall that resulted in a fractured vertebrae and accompanying fluid, bone chips and constant pain – all which put a damper on his cycling. Then in 2008 Rick began training at 1 TO 1 Fitness. Well Rick, we are very happy and grateful that we are able to help you. You are certainly an inspiration for us all! “There are many things I like about the personal training experience at 1 TO 1. First, it is a true one-to-one experience. There are no waiting lists or crowds. I’m able to see one of a small number of trainers who challenge me with a personalized regimen. Second, I like the trainers! Each one is very professional and takes a genuine interest in helping me reach my fitness goals. Third, I like the location and facilities. I mostly train at the Metro Center gym, right above the metro. It has a feeling of exclusivity yet it is a very warm place. Over time you build rapport with everyone and it encourages you to excel. One other thing I admire about the place is the longevity of client-trainer relationships. Although I’m a “newbie,” there are trainers who have had the same clients for 20-30 years! That speaks volumes – both about employee and customer satisfaction. The biggest thing I have noticed since joining 1 TO 1 is that I have more energy. I also sleep better and eat better. When I reached my mid-40’s, my doctor told me to prepare for my blood pressure to creep up and metabolism to slow down. Since joining the gym, my blood pressure has gone from marginally high to nearly perfect. 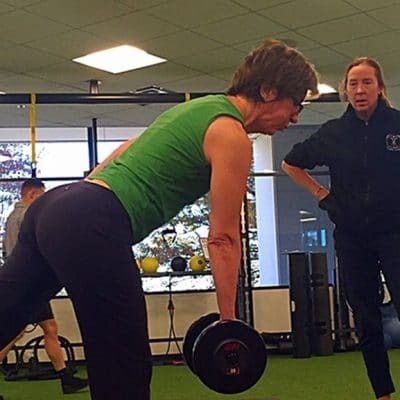 I am also more aware of my health and actually look forward to working out – largely because of the experience I know I’ll have with the trainers. I feel like I am making an investment in my future so I take it seriously. I would never push myself on my own the way the 1 TO 1 trainers challenge me. That is perhaps the biggest way training with them has helped: they bring out the best in me each and every time. Dr. Ed has been a 1 TO 1 client for nearly 14 years. Ed is a PhD physicist with The MITRE Corporation and does consulting work for various government agencies in the area of technology management. Well Ed, you amaze us too! We respect your dedication to your health and fitness and we greatly appreciate you giving us some of the credit, but really it’s all yours. Paul is a busy Washington, DC Attorney who has been a 1 TO 1 client for 13 years. 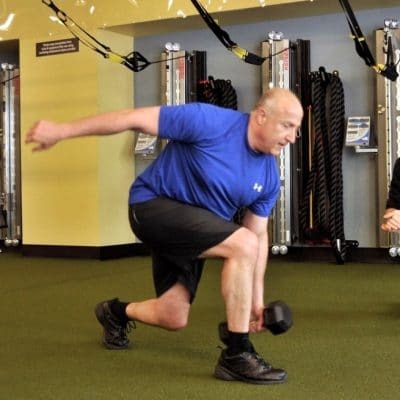 Paul does personal training at the 1 TO 1 Fitness Center at 1750 K Street three days per week and also exercises on days he does not see his trainer.